The Salvation Army Wrapped with Black Parrot! You are here: Home / Resources & Support / Blog Archive / Uncategorized / The Salvation Army Wrapped with Black Parrot! 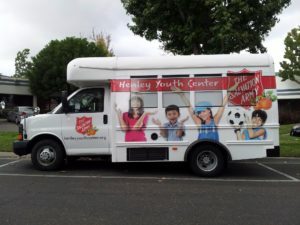 Black Parrot Sign Studio is pleased to announce that it recently worked with the local Salvation Army on a facelift for their fleet vehicles! As you probably already know, Wraps are one of the best ways to reach your audience in today’s hustle and bustle. But what you may not know is that wraps can be applied to more than just cars, and will still give off that same effectiveness. 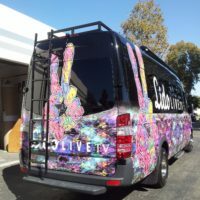 Here is a picture of their mini-bus with a combination of vinyl and window perf. Come see why Black Parrot Sign Studio is a step above the rest!